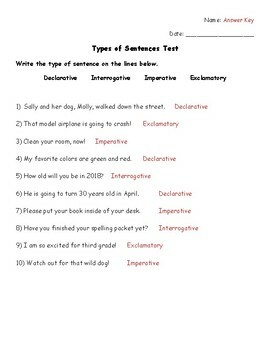 This assessment includes interrogative, exclamatory, imperative, and declarative sentences. 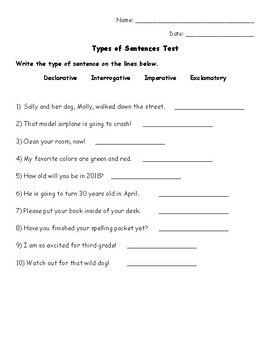 Determine the correct sentence type for a given sentence. 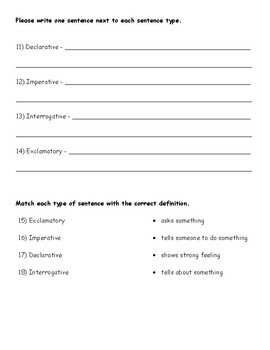 Create their own sentence for each sentence type. 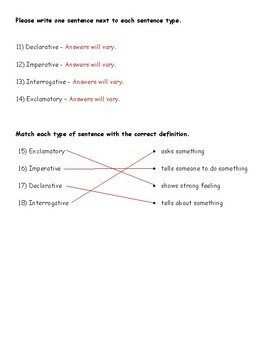 Match each type of sentence with the correct definition.